Chapter 12 of the Texas Penal Code outlines the punishment range for Texas criminal offenses. What follows is a summary of those punishments ranges. To gain more information on punishments under the Texas Penal Code, read the full text of Texas Penal Code Chapter 12 Punishments. 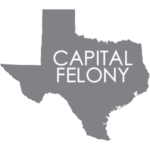 What is a Capital Felony in Texas? A Capital Offense is the most serious offense under Texas law. A person convicted of a Capital Felony in Texas may be punishable by a death (if the State seeks the death penalty), life on prison without the possibility of parole, or life in prison (if the offense was committed prior to the person’s 18th birthday). What is the Punishment for a First Degree Felony in Texas? A 1st Degree Felony is the most serious offense in Texas short of a capital crime. A person convicted of a 1st Degree Felony in Texas is punished by a prison term between 5 and 99 years and a fine not to exceed $10,000. Some of the more common 1st Degree Felonies that we handle in Tarrant County involve Continuous Sexual Abuse, high value Thefts, and certain White-Collar Crimes. What is the Punishment for a Second Degree Felony in Texas? A 2nd Degree Felony is a serious offense in Texas. A person convicted of a 2nd Degree Felony in Texas is punished by a prison term between 2 and 20 years and a fine not to exceed $10,000. Some of the more common 2nd Degree felonies that we handle in Tarrant County are sexual offenses, Robbery, and Burglary of a habitation. What is the Punishment for a Third Degree Felony in Texas? A 3rd Degree Felony is a serious offense in Texas. A person convicted of a 3rd Degree Felony in Texas is punished by a prison term between 2 and 10 years and a fine not to exceed $10,000. Some of the more commons 3rd Degree Felonies that we handle in Tarrant County are Possession of a Controlled Substance (1-4 grams), Domestic Violence (Impeding Breath), and DWI (3rd offense). What is the Punishment for a State Jail Felony in Texas? A State Jail Felony is the lowest level of felony in Texas. A person convicted of a State Jail Felony in Texas is punished by a term in a State Jail facility between 180 days and 2 years and a fine not to exceed $10,000. Confinement time in a Sate Jail facility is different from County Jail or Prison because the State does not offer any credit for good time. State Jail time is served on a day-for-day basis. Some of the more common State Jail felonies that we handles in Tarrant County are Possession of a Controlled Substance (less than 1 gram), Burglary of a Building, DWI (with Child passenger), and Theft (under $2500 w/2 prior thefts). What is a Class A Misdemeanor in Texas? A Class A Misdemeanor is the most serious misdemeanor offense under Texas law. A person convicted of a Class A Misdemeanor in Texas may be punishable by confinement in the County Jail for up to 365 days and a fine not to exceed $4,000. Some of the more common Class A Misdemeanors that we handle in Tarrant County are Assault (Family Violence), DWI (Repeat Offense), and Theft (from $750-$2500). A Class B Misdemeanor is the least serious misdemeanor offense under Texas law, with the exception of Class C citations. A person convicted of a Class B Misdemeanor in Texas may be punishable by confinement in the County Jail for up to 180 days and a fine not to exceed $2,000. Some of the more common Class B Misdemeanors that we handle in Tarrant County are Possession of Marijuana (Less than 2 oz), DWI, and Theft (less than $750). What is a Class C Misdemeanor in Texas? A Class C Misdemeanor is the least serious misdemeanor offense under Texas law. A person convicted of a Class C Misdemeanor in Texas may be punishable by fine only, not to exceed $500. The most common form of a Class C citation is a traffic ticket, like speeding. Some of the more common Class C Misdemeanors that we handle in Tarrant County are Simple Assault, Public Intoxication, and Theft (under $100).